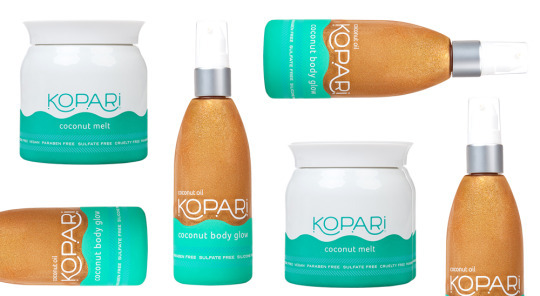 So it’s offiially the dead of winter here, ice abounds, and the only thing that’s melting is my soul, but Kopari sent us their Coconut Melt, so let’s try to be optimistic. Back to the melt - it can be used literally for almost every need your body has. Try it as a dry shaving cream, hair conditioning mask, soothing “bath boost,” massage oil … and expecting Moms/ new Moms can even use it on their belly to help prevent stretch marks. It’s organic, vegan, and sulfate and paraben free, so it’s safe to use even on your baby (the one you met surfing in Hawaii, or the one you gave birth to). I can’t even pretend to be tan right now, but if I wanted to I’d drown myself in her Coconut Body Glow. Smells like paradise and shimmers in all the right places.